If your car breaks down or you’ve had an accident and require a tow truck in Myaree, there is no need to panic. Just call Executive Towing Services and we will tow your car or truck to any location within the area that you want. Our wide range of towing services includes breakdown assistance, vehicle recovery, and vehicle transportation. These services are available to anyone in Myaree, whether you’re a local resident or someone who happens to be in the vicinity of the area. You will find our prices to be very affordable for the average consumer. Executive Towing Services is ready to take your call. Just dial 0410 471 056 on your phone and take advantage of our highly regarded customer service experience. 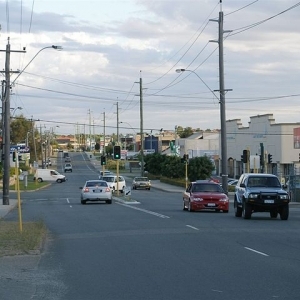 All residents of Myaree will receive fast assistance with their vehicle problems. If your car fails and leaves you stranded in the area somewhere, Executive Towing Services is on-had to get you out of this situation as quickly as possible. For decades, we have been assisting local residents who’ve had breakdowns and other car emergencies. Our record of accomplishment stands for itself with the great people of Myaree. If you are new to the city or have never needed a towing service before, then you will get to experience first-hand what Executive Towing Services can do for you. Towing vehicles is something we do everyday in Myaree. For people who own specialised or luxury vehicles, we have the proper equipment to safety transport these vehicles without any risk of damage or bumps. If you have a customized vehicle and you’re worried about how it will be safely towed, give us a call and we will provide you with information about our towing process. Executive Towing Services is not just for residential customers. We also provide towing services to commercial clients that use cars, trucks and machinery as part of their operation. Whether your company is located in Myaree or merely conducts business activities here, we have tow trucks available to accommodate your commercial style vehicles. Our tow trucks can transport virtually any commercial or industrial grade vehicle, such as; trucks, utes, forklifts, bobcats, vans, and so on. If you want to confirm whether we can tow your commercial vehicle, call our customer service representatives on 0410 471 056. They will give you more details on how commercial vehicles like yours are towed. Executive Towing Services only employs the most qualified and experienced tow truck drivers in the business. You can have peace of mind by knowing they are all fully licensed and insured to perform all kinds of towing duties. Individuals and business owners are encouraged to call us whenever a tow is needed in Myaree. We can be reached by phone or email. For assistance, it is best to call by phone at 0410 471 056.